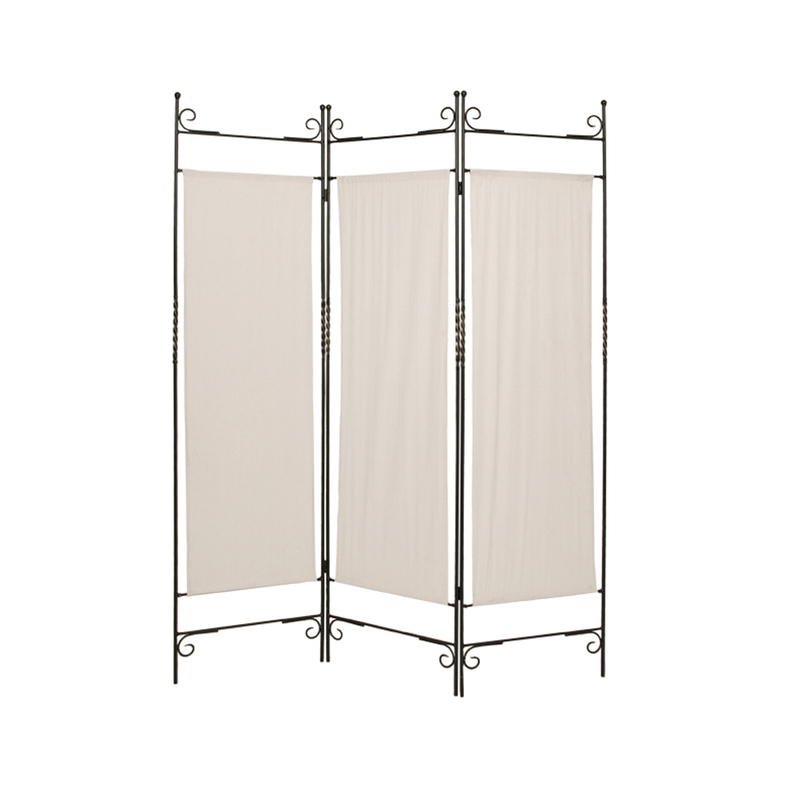 Our Canvas Screen is made with a solid wrought iron frame in antique brass finish with iron twist accents and Cream Canvas panels. 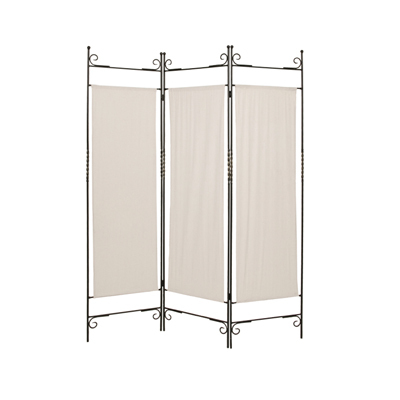 Canvas is removable for ease of cleaning or fabric exchange to suit your personal design preference. Finished the same on both sides.